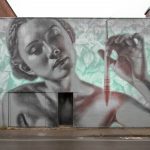 El Mac (Miles MacGregor) is an internationally renowned artist whose gorgeous large-scale works blur the lines between fine art and graffiti. El Mac began painting with acrylics and painting graffiti in the mid ’90s, when his primary focus became the life-like rendering of human faces and figures. 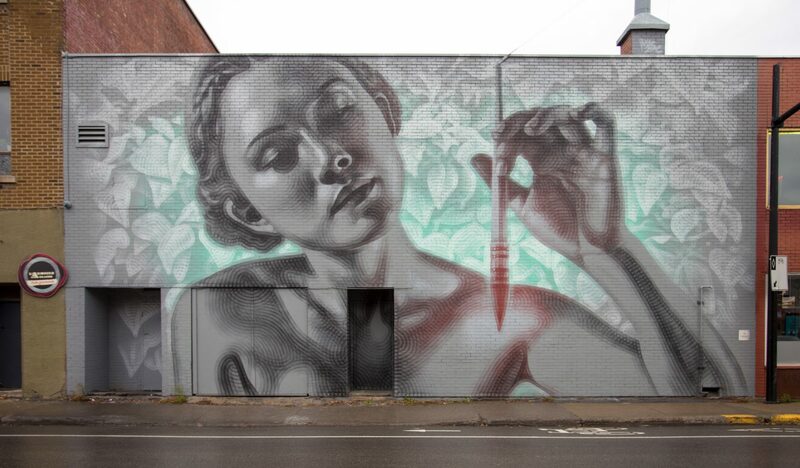 El Mac has since worked consistently toward developing his unique rendering style, which utilizes repeating contour lines reminiscent of ripples, Turing patterns and indigenous North American art.